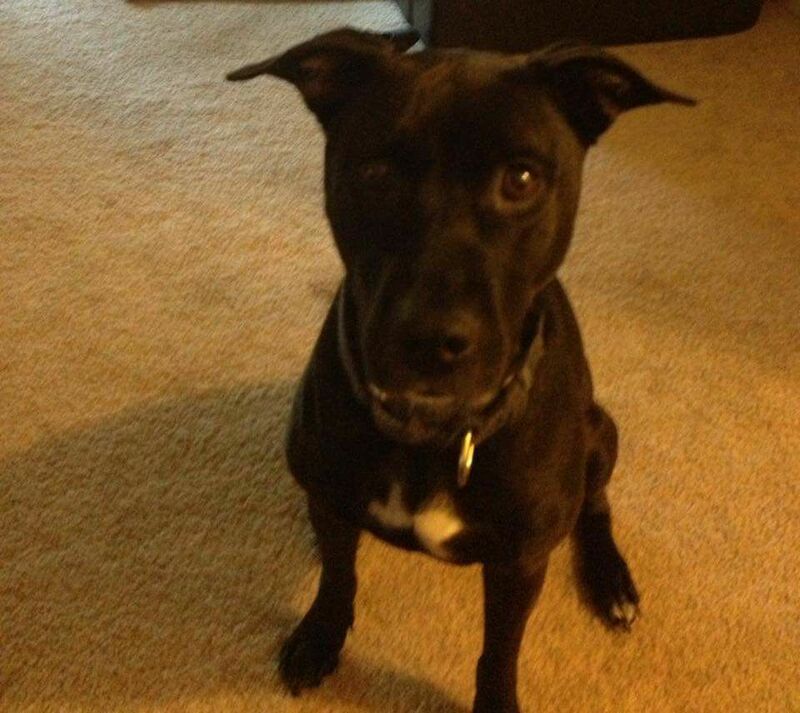 Two weeks ago, on January 28, 2019, I lost my best friend – a Pitbull/Lab mix named Roxie (aka Miss Roxie). It was a devastating loss, most obviously because losing one’s four-legged, furry child hurts as much as losing a human family member. But losing Roxie was devastating for several other reasons. The first was the timing of it. Roxie had developed some odd lumps in her neck shortly after Christmas. Because this was the busiest holiday season, because of the strange weather patterns in Baltimore (unusually warm one day, sub-arctic the next), and for other reasons, I just kept an eye on her instead of immediately taking her to a veterinarian. By January 20th, the lumps in her neck were growing. But I took sick as well, spending the following week confined to bed due to a severe cold that was more than a normal cold yet not quite the flu. Still, I was monitoring her energy, appetite, mood—everything. By Sunday January 27th, Roxie was not eating any food, but she continued to drink water regularly. On the morning of January 28th, I finally made myself see a doctor, who prescribed antibiotics and Mucinex™ to relieve my symptoms: a gut-wrenching, hacking cough, throat congestion, aches and pains, and diminished appetite. When I got home from my doctor, I discovered that Roxie’s condition was much worse—her breathing was impaired. In a panic, I phoned my nephew, who was her legal owner; we drove Roxie to the vet’s, where we were told there wasn’t much hope. Together, my nephew and I decided to have Roxie put to sleep. I stayed with her in the exam room, stroking her head, trying to stay within sight of her, and tearfully saying goodbye. Her last breaths were peaceful. My nephew and I arranged to have her cremated and to bring her cherry wood-encased remains home when they were ready. My nephew drove me back home. After we exchanged a mournful, sobbing hug, he left the house. I watched him return to his car, sit awhile, then drive away. And then, I began to feel the emptiness and the silence of Roxie’s absence. I found out after she was gone that my nephew had adopted Roxie when she was a puppy; he knew the owner of Roxie’s “mother”. I always thought she was rescued—and in a way, she was; she was the runt of the litter. My nephew, a natural “animal whisperer,” raised Roxie with love and care. For a time, when we lived in the same neighborhood, he would bring Roxie over for runs in my yard. I thought she was such a wild child, racing with boundless energy back in forth in the yard. And, truth be told, I wasn’t all that comfortable around her. But that’s because I hadn’t gotten to know her yet. My time with Roxie began in the summer of 2014, when my nephew was moving to a place that didn’t allow a dog of her size—all 40 pounds of her. I had already loved and lost two dogs between 1995 and 2010. My first dog was a Cocker/Springer Spaniel mix named Sparky, whom I adopted, much like my nephew had Roxie. Sparky was the runt of a litter of pups, and I named him Sparky as a joke! He was such a pokey, slow puppy. But over time, he lived up to his name. My second dog, Max, a Lab, was my brother and sister-in-law’s dog. He was a year younger than my Sparky, and they knew each other and got along well. In 2006, Max came to live with me and Sparky, and what a fun time that was! The boys shared everything, from a crate to beds; from food and water to toys. They passed away within a year of each other (2009 and 2010). So, I wasn’t sure I was ready for another dog when I was asked to take Roxie. But after spending a trial weekend with her, I was in love. Immediately, I began making up nicknames for her. The first was “Cat-Dog”, for the way she would climb onto the sofa and walk across the narrow back of it before settling down beside me. I delighted in watching her scope out the rooms on the first floor and find comfortable spots to rest. She was so affectionate, from the beginning. She loved to cuddle up with me on the sofa. And she loved to lick! My face, hands, and arms were quickly covered in “dog juice”! She also had a sassy little “come hither” look whenever she wanted me to follow her. This led to the name “Roxie Ann” (for The Police’s “Roxanne”: “You don’t have to put on the red light…”). By the end of the first week, I noticed that the only sounds she made were an odd little grunting noise when she wanted to go out (hence, her third nickname, “Miss Piggy”) and the rhythmic beating of her tail against any hard surface—the edge of the coffee table or between a door frame. It was like she was intentionally drumming! I added “Little Drummer Girl” to her list of aliases. But she never barked! When I asked my sister-in-law if Roxie barked, she answered, “Oh, yes; she barks! Soon after, Roxie let out a full-throated, loud, basso profundo series of barks that over time signaled anything from the mail man coming to the door to a squirrel, rabbit, bird, or fox in the yard, to something beyond my hearing range. 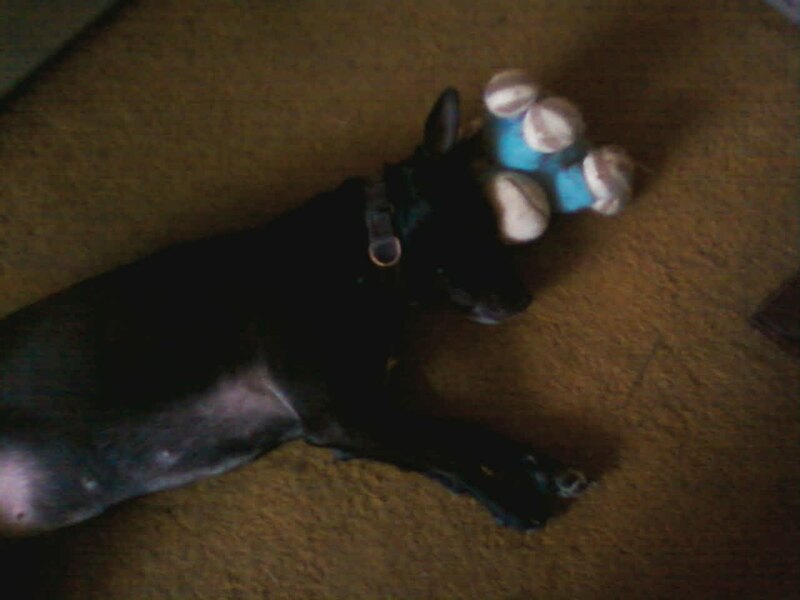 It was only in her sleep that she would emit more dainty, high-pitched barks. One night, around 2:00 a.m., she was furiously barking and growling while sitting in the bow window in the living room. I looked out the window and sauntering down the middle of the street towards Herring Run Park was a large deer! During our first summer, I scheduled our time outdoors into 15-minute segments of play and relaxation in the mornings and late afternoons, to avoid the heat and humidity of Baltimore summers. This schedule was more for my benefit than Roxie’s. Her athleticism astounded me! She would leap high into the air to catch a tennis ball or Frisbee. She would try to climb my pine tree while chasing squirrels and birds. She’d race along the fence in pursuit of a cat or squirrel fleeing atop the fence. When she grew tired, she would lie down in the sunny half of the yard to sunbathe, basking in the heat. And when the sun grew too hot, she sought the shady side, stretching out on the cooler grass. She loved the outdoors so much that I had to devise ways to entice her back into the house. Sometimes, leading her with a tree branch she’d found to play with worked. But the most effective strategy was the “Hansel-and-Gretel breadcrumbs trick:” I would throw out kibble in the grass ahead of us and tell Roxie to “find it,” until we reached the kitchen steps. Then, I would lay out kibble on each step, which she would eat until we reached the door. Only then would she go inside for a cool drink of water from her bowl. This routine of yard play was in lieu of walking on leash in the neighborhood, for her protection as well as mine. Although she was actually pretty good on leash, there were certain breeds of dogs—especially larger dogs—she didn’t like, leading to testy straining on the leash and barking. On the other hand, there were dog breeds she loved! She had spent lots of time in the company of Yorkies, so she gravitated toward smaller dogs. She was also particular about people. The mail man, of course, elicited barks, as did some random passersby. But she could also be very sweet. There was a gentleman, a resident in a nearby group home, who on his daily walks past the yard would ask to pet Roxie. She would gently rise on her hind legs and accept his petting with joy. Then, she would follow along on our side of the fence as the man continued his walk up the street, watching him until he had reached the top of the hill. Because she looked and sounded so fierce to some animals and people, it was safer to keep Roxie in the yard. Until she discovered escape routes. One day, after chasing a rabbit across the yard and seeing the rabbit squeeze through a slat in the back fence, Roxie managed to squeeze herself through that same slat! She ran happily across neighboring yards, looking back at me with a catch me if you can smile. Calling her to come back only made her more determined to run. I grabbed my car keys, closed the house doors, and started a slow car chase, stopping every few houses to call for her. When I finally caught up to her, I double parked the car, opened the back door, and told her to get in the car, which she did with a sheepish look. After a few more instances like this, I began to put Roxie on leash even for our yard time. She didn’t seem to mind, however, and I even adapted to her desire to roll in the grass, by anticipating her movements and keeping the leash out of her way, as she laid on her back to wriggle in the grass or roll down the hill. But that didn’t stop Roxie. Instead, she discovered the front door, through which she’d slip out occasionally when I was collecting the mail or receiving a package. Sometimes, instead of driving around, I’d follow her on foot until I could corral her and put her on leash. Sometimes, we’d wind up taking a walk around the block. If I saw other dogs, accompanied or not, I’d try to steer her in the other direction to avoid a possible conflict. The last time this happened was just before Christmas, as I was taking a bouquet of flowers from a delivery man. I even saw the wheels turning in her head as she jumped off the sofa and squeezed by me in a flash. Even in my annoyance and fear for her safety, I had to laugh, and I quickly rounded her up brought her back home. One thing that surprised me was how familiar Roxie was with the neighborhood. I shouldn’t have been surprised, since she had learned it from her days living a block away with my nephew. Still, her affinity for my mother’s house, a half-block away from mine, was uncanny. I suppose this was, in part, because my mother would occasionally give her part of a hot dog as a treat on our infrequent walks beyond the yard. She also knew that whenever I said, “Up on the couch, Roxie; I’m going to Grandma’s,” that I was in fact going to my mother’s house. 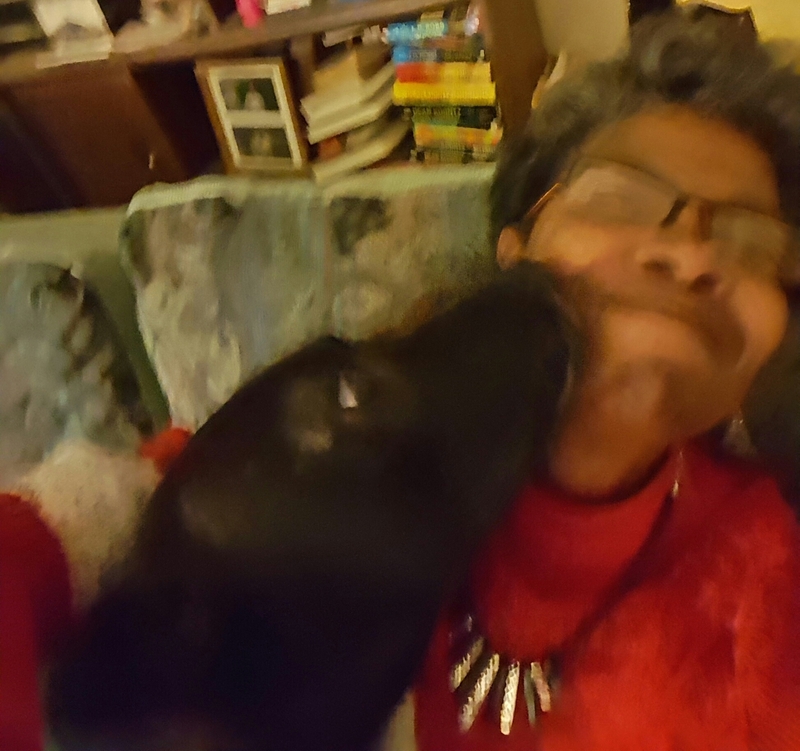 Herein lies the deepest source of my devastation: that having nursed me through the loss of my mother last May, Roxie left me in much the same way Mom did: a sudden illness, a delayed doctor visit, and… gone. A poignant, heartfelt story of a sweet, animal and her human companion. Saying farewell to our best animal friends is always wrenching. RIP Roxie! No matter how young, old, unexpected or sudden it’s never anything other than absolutely heartbreaking to lose our friends. Whilst some are grateful for every last moment as their dog grows old and frail, others are almost cruelly cheated and lose them without warning or chance to catch breath and fully take in what’s happening. Roxie was a very lucky dog to have met you along the way. You’re lucky to have had such a good friend in her too but try not to let yourself get consumed with the grief and sadness. inevitable and unbearable grief. You lost her too soon but you got to give the last of her good days rather than the last of her bad. That counts for a lot.